"Access around the lake and parking near the swims needs work as large potholes and parking on mud spoil a good venue"
"Lots of weed in the swims which made it very difficult to land a fish, swims very steep. Lovely fish when we were able to land them. Facilities leave a lot to be desired maybe a second toilet and som doors on the showers. Other than that fab holiday"
"Lovely lake and nice natural surroundings. Swims are very steep, broke a brand new reel when I fell over, so be careful! Had a lot of success a couple of years ago, but this time there seemed to be a lot more cats about, only 5 carp between 3 of us. Bailiff is a lovely bloke - doesn't speak a word of English though so brush up on your French if you intend to go there. There is a shower and toilet on site and you can get mains power but it's via solar panel so day time only - bring a uk to euro adaptor. Fisherman's holidays were great especially Thomas Komasan." "Brilliant fishing great bailiff if you try to speak his language swims ok, a little steep facilities are fine, generator for the water pump, its like fishing in at a natural lake. 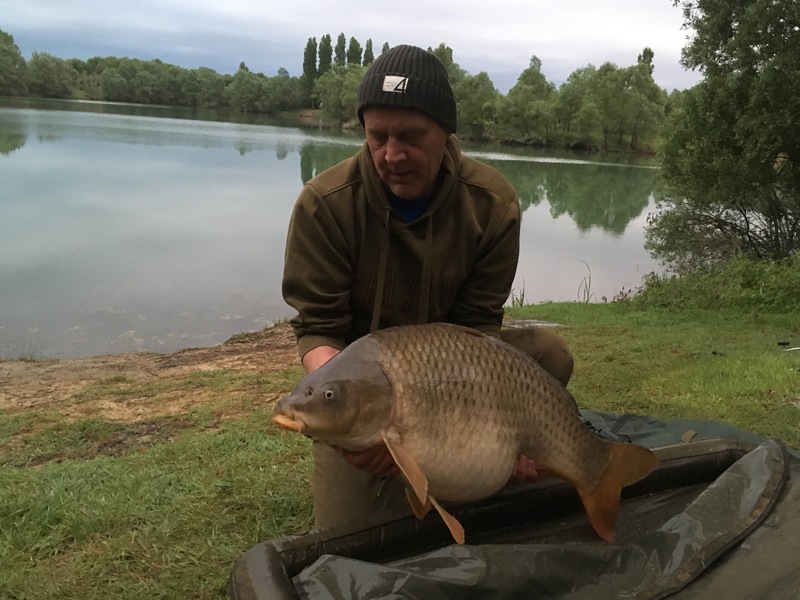 35+ fish including 8x50lb+, and 1x60lb+"
"Great lake with a good head of large fish. Most of the swims are on a slope, so you have to bivvie up a fair distance from your rods 20 mtr or so, and be careful when running down for that midnight run!! The bailiff/owner is very friendly and comes to see you every morning, just be aware that he speaks no English. The only let down with this venue is the showers, cold and not very good. But overall, this was my first French trip and thoroughly enjoyed it." "THE ROAD AND SWIMS NEED WORK LOTS OF BIG POT HOLES, IT WAS A VERY WET WEEK AND IT WAS HARD TO GET VAN IN AND OUT OF POSTE NUMBER 2 ..FACILITIES COULD BE IMPROVED.. TREES ABOVE BIVVY AREAS NEED TRIMMING BACK LOTS OF WET SAP DROPPING ON BIVVY ALL TIME AND ONTO VAN/CARS WHICH IS VERY DIFFICULT TO CLEAN OFF..NOTICED THIS TIME A LOT MORE SMALL CARP MAINLY GRASS CARP ? 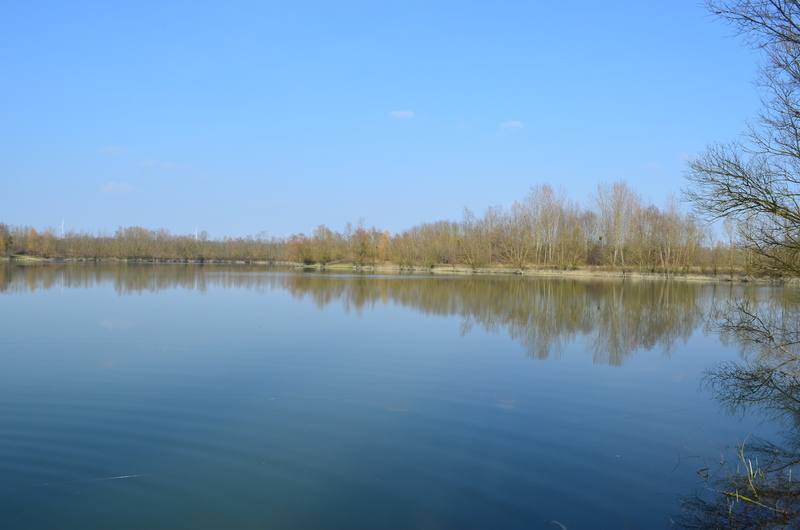 I LIKE THE WATER VERY MUCH BUT IT NEEDS SOME WORK AS STATED THANKYOU JOE BERTRAM"
Marcusans is a stunning 32 acre lake set in the heart of the Marne region. 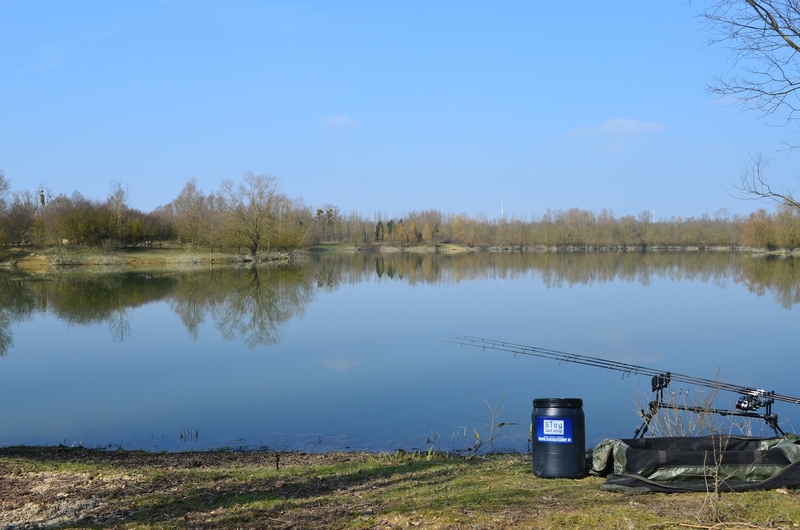 This lake has a great reputation, stretching back many years, for offering excellent carp fishing holidays. The 10 large single swims give you loads of options on where and how to fish; also because the management allows a maximum of 10 Anglers. You can book single swims and double up with your friends if you want to. This old gravel pit features an island in the middle of the lake with overhanging trees. 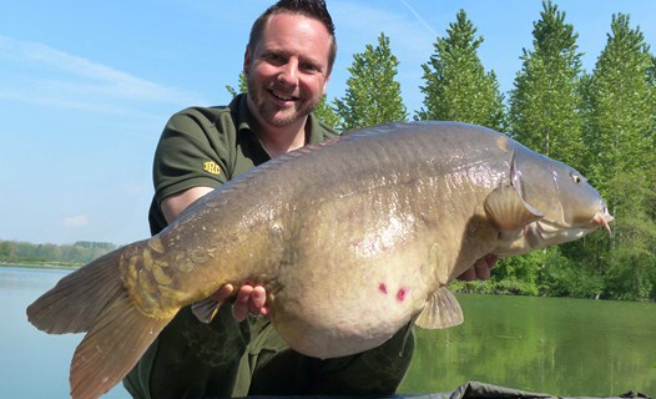 Its carp stock includes a large head of big and healthy mirrors and commons between 30lb and 40lb. The largest mirror was 69.44lb, whereas the lake record for common carp at the moment is just over 55lb. Etang de Marcusans is situated in a meander of the river Marne. Shaped like a triangle, there's a island in the middle of the lake. Everybody can fish the island without being bothered by your neighbors. The bottom falls to 4 - 4,5m quite close to the banks and consists of gravel with a thin layer of silt. No fresh water mussels or any kind of obstacles. During the hotter months there might be some weed formation and there's no poisson chat. There is some crayfish but they won't be a problem. Boats are not allowed. Baitboats are allowed at any time. Marcusans being a gravel pit impossible to drain, it's hard to know the exact carp stock of this venue. It has a great reputation though with mirrors up to 69.44lb and commons up to 55lb. Its carp stock includes a large head of big and healthy mirrors and commons between 30lb and 40lb. Other species are catfish (max. 135lb), Sturgeon (max. 37lb), grasscarp, pike and silverfish. The lake counts 9 grassy swims. Each angler has to book its swim, but you can always double up when you get there. Swim 10 is a double one to be booked by 2 anglers. The management doesn't allow more than 10 anglers on the lake. Swims 2, 3, 6 and 10 have a shelter. You can park your car at the swim. The facilities (showers & toilets) are sited between swims 4 & 5 and are clean, well equipped and spacious. There's electricity (solar energy; solar panels) and water (from a well) and the owner offers recharging your batteries. He'll try to visit you 1 or 2 times during you stay to collect the garbage and see how you're doing. Take into account that there's an additional €2.00EUR eco-tax per angler per day to process the garbage. The supermarket is 3km away from the venue. Walking, you can go to the Hotel-Restaurant next to Marcusans. The owner sells cooked particles for 20€/ 10kg (own particles are not allowed). 1. The angler should bring a valid booking confirmation. 3. Boats are NOT allowed. Baitboats are allowed at any time. 5. Allowed rigs: “carp friendly” rigs (safety bolt rigs), barbless hooks and hooks with micro barb (max. size 4) and nylon mainline. The hooklink may be stiff or braided, but should allways be weaker than the main line. 6. Not Allowed: carp sacs, bent hooks, braided mainline. Only particles bought on site are allowed (20€ for 10 kgs). Lead Core is not allowed. Rig tube is allowed. 7. max. 4 rods per angler. Bivvies and tents should be brown or green. Each angler should have a big landingnet with a min. size of 90 cm and a big unhooking mat (min. 4 cm thick, 60 cm large and 90 cm long), a big weigh sling and disinfectant the hook wounds. 8. Fishing is only allowed on the booked swims. 10. Marking or steeling fish will be reported immediately to the local Police (Gendarmerie). 11. Alcohol abuse and drugs are not tolerated. 12. Please respect the nature and the tranquillity of the site. Keep clean the sanitary building and the swims. Please separate waste in the designated containers. 13. Dogs are allowed. Open fire is not allowed. Gas cookers and barbecues are allowed. 15. Arrival between 10.00-12.00h. Departure before 11.00 h.
16. The owner and the bailiff can check the hooklinks at any time. 17. The owner is not responsible for theft, fire, injury or what so ever. 18. Each angler should sign the regulations declaring that he/she accepts them. PS. In case you are caught marking fish, you will have to deal with French Justice.